In 1919...Longtime Radio/TV journalist Edwin Newman was born. He died August 13, 2010 at 91. In 1937...NBC Radio debuted the soap opera The Guiding Light. The longest running daytime drama in history, it moved to CBS-TV in 1952 and aired there for 57 years until the final episode on September 18, 2009. In 1938...Blues singer Etta James was born. She died on January 20, 2012 at 73. In 1961...President John F. Kennedy gave the first live Radio/TV presidential news conference from Washington, DC which was broadcast on radio and television. In 1999…Radio and television announcer/radio newsman (WOR-New York's Jean Shepherd and Long John Nebel shows) Ted Mallie died at the age of 74. 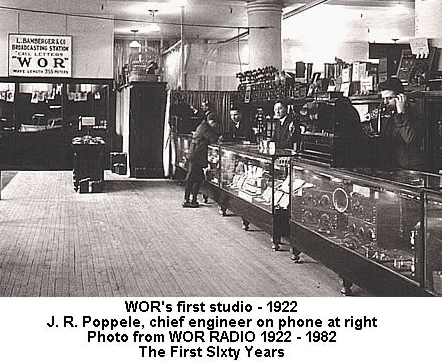 Mallie started at WOR-Mutual Radio in New York in the mid-1940s. There he announced on such programs as John Steele, Adventurer and I Love a Mystery. He is perhaps better-known to old-time radio buffs, however, as the final announcer for The Shadow during its last two seasons (1953–1954) on the air. Following the end of WOR's affiliation with Mutual in 1959, Mallie remained with the station as announcer, handling such duties for, and occasionally serving as newsman on, the Long John Nebel and Jean Shepherd shows. 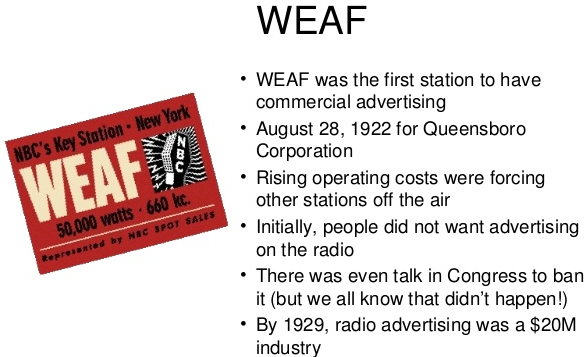 After WOR's FM outlet (now WRKS-FM) launched its progressive rock format on July 30, 1966, he even served a spell as a disc jockey for a time, due to a strike by its regular disc jockeys that lasted until October of that year. Not long afterward, Mallie gravitated towards the station's TV outlet (now WWOR-TV), where he handled station identifications, promos, bumpers and program introductions, most notably for their long-running Million Dollar Movie and horror-movie series Fright Night. By the time Channel 9 moved its studios to Secaucus, New Jersey in 1986, three years after they transferred their city of license there, he and Phil Tonken were the last of the WOR radio announcers from the old-time radio era to still be employed at the station. 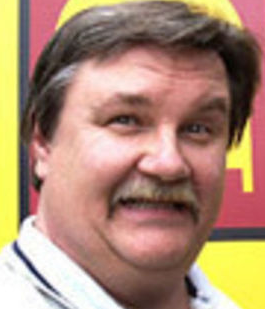 His last major announcing duties for channel 9 included handling voice-overs for the children's show Steampipe Alley, and announcing for The Richard Bey Show. Mallie's announcing career at WWOR ended in 1994. 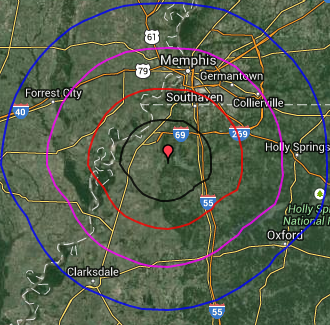 Radio One Inc. has filed suit against Flinn Broadcasting Corp. in Memphis (licensed to Tunica, MS) for trademark infringement for using the slogan "Boom" on its Classic Hip Hop WIVG 96.1 FM in Memphis and WOXF 105.1 FM in Oxford, MS.
Radio One asserts that since December, both stations are branding as "Boomin 96 Throwback Hip Hop" and specialize in playing only Classic Hip-Hop music. In October, Radio One flipped KROI 92.1 FM in Houston to Classic Hip Hop "Boom 92.1" and in November flipped WPHI 107.9 FM in Philadelphia to "Boom 107.9 FM." The suit, filed in U.S. District Court in Western Tennessee, said Radio One sent a cease and desist letter to Flinn/Memphis GM Duane Hargrove on December 17, but received no reply. A second letter sent on January 6 also went without a response. Shortly afterwards Flinn began offering smart-phone apps for streaming its "Boomin 96"-branded Classic Hip-Hop stations to various smart devices, including smart phones and tablets. 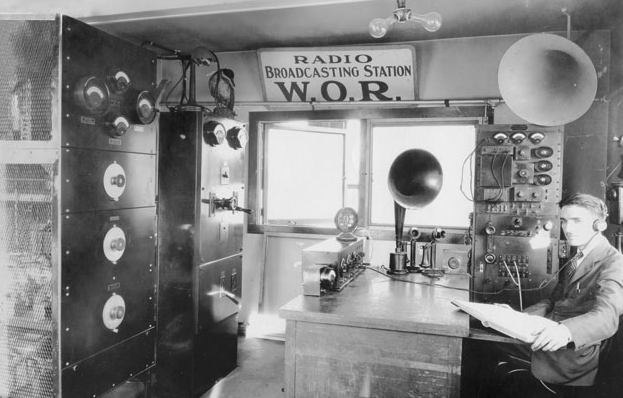 CBS Radio originally registered the BOOM FM mark in 2008 for "radio broadcasting services," transferring the mark to Radio One last December. Radio One is seeking an injunction to prevent further use as well as compensatory and punitive damages. CBS Sports Radio has announced it will broadcast a wide range of programming originating from Radio Row in Phoenix, Ariz., on the nation’s largest 24/7 major-market sports radio network heard on more than 330 stations nationwide, in anticipation of Super Bowl XLIX beginning Monday, Jan. 26th. Kicking things off will be The Jim Rome Show (12:00Noon-3:00PM, EST), featuring opinion-maker Jim Rome, as he interviews key sports personalities and engages with fans and listeners over-the-air. Jim Rose ill be live from the Phoenix Convention Center throughout the week. The live programming continues with The Doug Gottlieb Show (3:00-6:00PM, EST), as Gottlieb offers his unique opinion on the latest sports headlines, interviews current and former NFL players, and engages with the hottest newsmakers from the sports world. The show will broadcast live throughout the week. From Tuesday, Jan. 27 – Friday, Jan. 30, hosts Tiki Barber and Brandon Tierney take on the day’s top stories and interview the biggest names in the world of football on Tiki and Tierney (9:00AM-12:00Noon, EST). Additionally, on Saturday, Jan. 31, CBS Sports Radio weekend host John Kincade will broadcast a special Saturday edition of The J-K Show (10:00AM-2:00PM, EST) live from Radio Row. Listen to CBS Sports Radio on-air nationwide, online or by downloading the Radio.com and CBS Sports apps for mobile devices. For the 15th straight year, FOX Sports Radio says it will offer one-stop coverage of the Super Bowl during the week leading up to the Big Game. 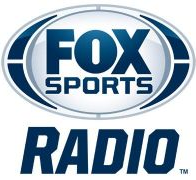 Beginning Monday, January 26, FOX Sports Radio will transport fans to the center of the action with live programming and updates, interviews with athletes, coaches and newsmakers from around the NFL, along with listener interaction and expert commentary from several locations near University of Phoenix Stadium in Glendale, Ariz., the home of Super Bowl XLIX. As part of the Network's continuous coverage, Jay Mohr Sports newsanchor Dan Beyer and J.T. The Brick will broadcast live from Radio Row at The Bridgestone Fan Gallery at the Phoenix Convention Center, while The Dan Patrick Show and The Rich Eisen Show bring fans the excitement of the DIRECTV Super Fan Festival at the Pendergrast Family Farm in Glendale's Sports and Entertainment District across from Phoenix Stadium. In addition, Lincoln Kennedy, former NFL offensive tackle who played in Super Bowl XXXVII for the Oakland Raiders, will be live on Radio Row to broadcast a special edition of the network's Saturday morning program Gargano & Kennedy. To keep up with all the news and events from FOX Sports Radio's week-long Super Bowl coverage, follow the network on Twitter, Facebook, and online at www.FOXSportsRadio.com. Free Lance-Star Publishing LLC announced Friday that it is selling its four radio stations to Alpha Media of Portland, Ore.
Alpha has agreed to purchase Country WFLS 93.3 FM, Talk WNTX 1350 AM, Top40 WVBX 99.3FM and Classic Rock WWUZ 969 FM, pending approval from the Federal Communications Commission. 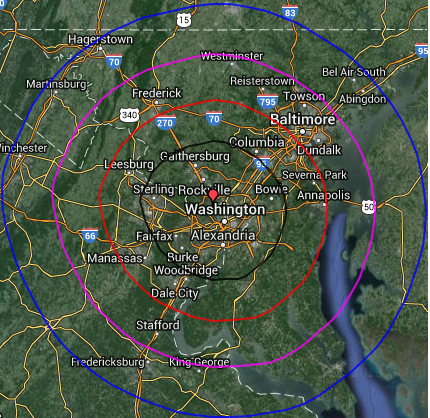 Sandton Partners, which purchased The Free Lance-Star in a bankruptcy auction in June, announced late last year that it would sell the Fredericksburg-area stations after being directed by the FCC to divest itself of either the newspaper or its Star Radio Group holdings. Free Lance–Star and Star Radio Group Chief Executive Officer Gene Carr said Alpha will continue to operate with existing staff. LMA plans have not been announced. 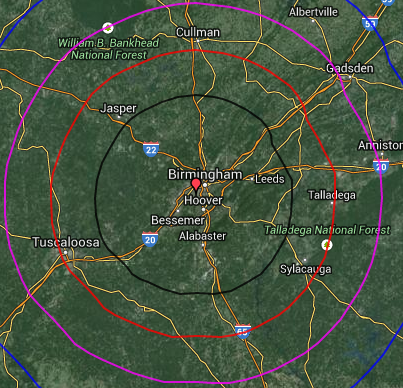 When completed, the deal will give Alpha a total of 93 radio stations across the country. 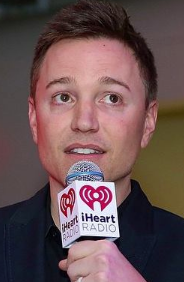 iHeartMedia/Washington, D.C. has announced Tommy Chuck has been named the new Program Director of Top40 WIHT 99.5 FM /HOT 99-5 in Washington and Country WPOC in Baltimore. The move is effective February 9. Chuck joined the iHeartMedia team in 2000 at WKXJ Chattanooga, Tenn. Since then he’s programmed WQEN in Birmingham, Ala; WXXL in Orlando; and for the past spent the past eight years, he's been Program Director and Digital Director for Top40 WFLZ and AC WMTX in Tampa. "Joining the iHeartMedia team in D.C. and Baltimore is an exciting next step for me and my family. I am thrilled to be HOT99.5's next leader, build on my long relationship with The Kane Show and work with the talented team already in place," said Chuck. "Country music has always been a personal favorite of mine – I am honored to lead one of America's most legendary and award winning country stations, WPOC! I'd like to thank everyone involved for giving me the opportunity to continue to grow my career with iHeartMedia." iHeartRadio today announced that it has surpassed 60 million registered users, continuing to grow faster than any other radio or digital music service — even faster than Facebook — and also reaching nearly 90 million unique visitors across its iHeartRadio Network. Plus, the service's registered users do not account for the millions of users who listen to iHeartRadio's live radio functionality without registering, indicating that the app’s total reach is even greater. These user milestones position iHeartRadio as the industry’s top streaming radio app, one of the most used music apps and one of the top free downloads in app stores across all categories. In addition, iHeartRadio’s brand awareness reached 75 percent in December, up 5 percent from last year and an impressive milestone in just three years. iHeartRadio also has more than 500 million downloads of the app and nearly 80 million social media followers across the iHeartRadio Network. Borrell Associates has released a new report, "2015 Outlook: Local Digital Advertising," in which it examines digital advertising, separated into four basic formats: display, streaming, e-mail and paid search. 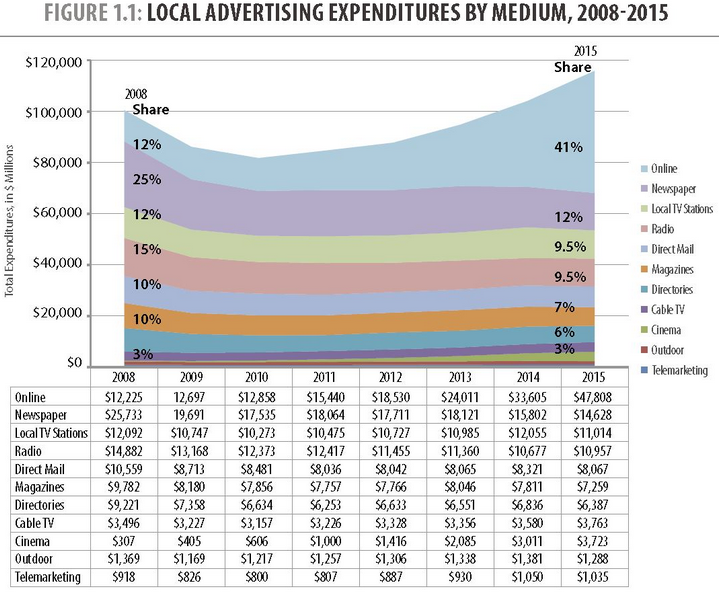 This year, total local advertising is forecast to grow to $115 billion, up 11.3% over 2014. Digital advertising is forecast to reach $47.8 billion, accounting for two-fifths of all expenditures. 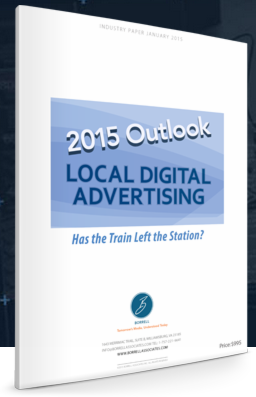 According to Borrell, digital advertising at the local level will grow 42% this year. 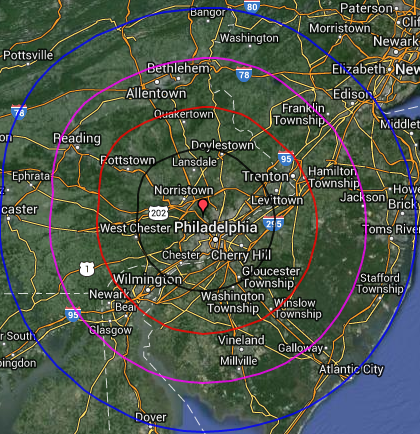 At that rate it would account for $2 out of every $5 spent by local advertisers. It’s grown to the level of dominance that newspapers enjoyed for years, until the late 1990s. Traditional media companies that have seen the light and are determined to grow again, investing heavily in digital by hiring people or acquiring companies. Internet “pureplays,” and there are thousands of them. True to predictions, they have gobbled up share at the local level. In 2015, these independent companies will account for nearly three-fourths of all digital advertising, elbowing out local-media competitors who have tried for two decades to use their existing sales forces to also sell digital advertising. According to the report, traditional print and broadcast media are still a significant market force. At the end of 2014, they accounted for more than two-thirds of all advertising buys. But, digital has gained share faster than another 'new medium' over the past century. It took radio 25 years to peak at a 15% share of all advertising by the late 1940s, and it took television 34 years to peak at a 22% share. Digital exceeded both of those markers in 12 years. The report found that only four traditional radio companies grew more than the industry average, including Cumulus, Univision, Salem Communications and Pandora. 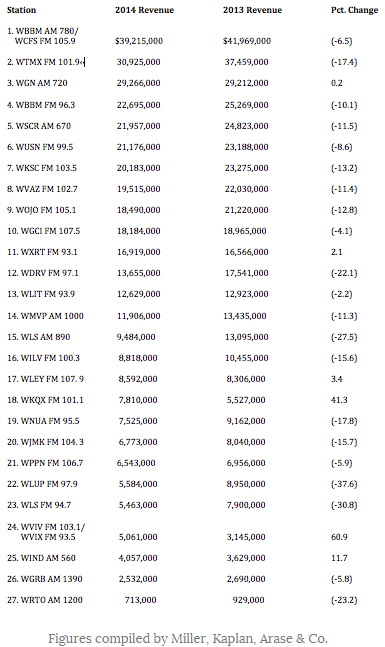 Greater Media Boston’s WMJX 106.7 FM achieved all time audience levels in the Holiday 2014 Nielsen with #1 ranking in every Adult, Women, and virtually all Men demographics and dayparts. In addition, the station captured nearly 50% of total market listening during the holiday period with peak total audience (cume) of more than 2.3 million during Christmas week, according to Nielsen. The company notesd this was the third consecutive year of consistent audience growth since WMJX-FM became Boston’s Christmas station during the 2012 Holiday season. As a result, Magic 106.7 now owns the market’s best-ever (6+) share in the PPM-era (+7.4, 9.1 – 16.5). “Kudos to General Manager Mary Menna, Program Director Cadillac Jack and the entire Magic 106.7 team on achieving unprecedented audience levels during the 2014 Holiday season,” said Rob Williams, vice president and market manager of Greater Media Boston. 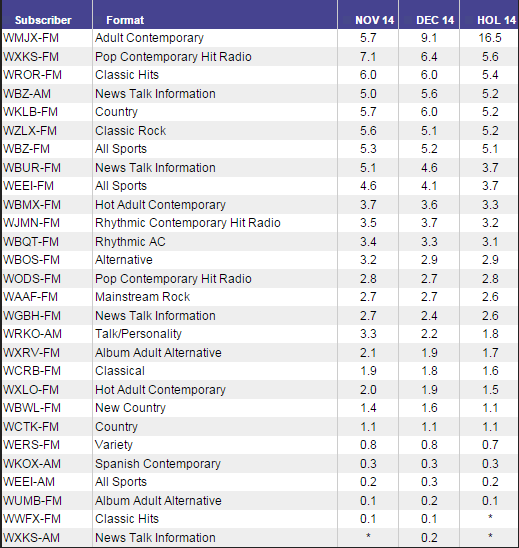 iHeartMedia's AC WMGF 107.7 FM tops everyone in the Holiday PPMs released Thursday by Nielsen. Magic surged 6.3—12.8 (6+ AQH-Total Week). And that's almost two shares better than its performance during Holiday '13. The market's #2 also was playing Christmas songs around the clock. 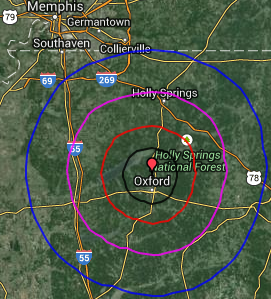 Non-com WPOZ 88.3 FM Z88-3 was up 5.7—8.6 with a mix of secular Christmas songs and from Contemporary Christian artists. After that, there's a bit of congestion with two stations tied. iHM's WRUM 100.3 FM /Rumba was off slightly 5.9—5.7 resulting in a tie with Cox Media's heritage Country station WWKA 92.3 FM /K92 6.3—5.7. In fifth place..iHM's WTKS 104.1 FM /Real Radio 104-1. Nielsen Thursday released the third batch of 'Holiday' PPM data. 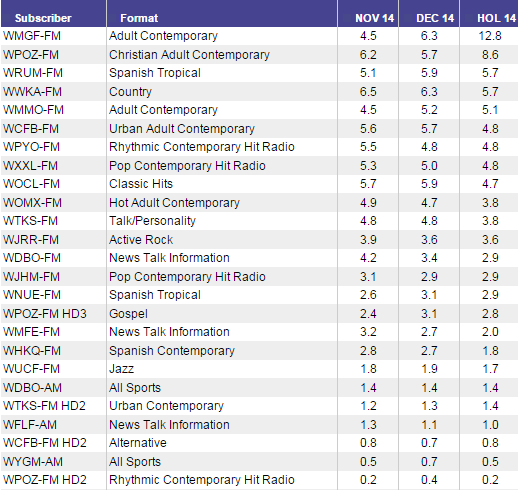 To view the Topline numbers for Nielsen subscrinbing stations: Click Here. 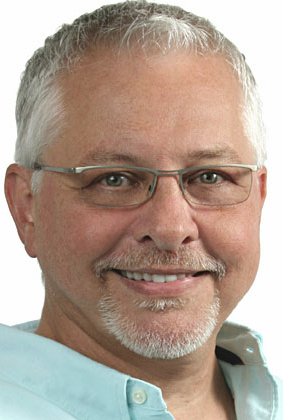 Cumulus announces that Peter Z has been named Program Director of NASH Icon WZRR 99.5 FM in Birmingham. Peter Z comes to Cumulus Birmingham from St. Augustine, FL, where he was Principal and Director of Operations for WYRE 105.5 FM. Prior to that, he programmed Classic Hits KLUV 987. FM in Dallas, following six years programming Oldies WGRR-FM in Cincinnati. He was also General Manager of WAQZ-FM, WSAI-AM, and WAOZ-AM in Cincinnati. 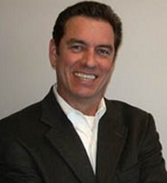 Peter Z began his radio career at WGR in his hometown of Buffalo, NY, while in college. Millions of viewers across the nation will be inundated with images of Camelback Mountain and the Scottsdale area next week as the cable sports network ramps up unprecedented remote coverage of the NFL Super Bowl. AZ Central reports hundreds of ESPN employees have converged on Arizona as the company scrambles to build a massive mobile studio on the northern side of Scottsdale Fashion Square, bringing a host of popular on-air personalities and celebrities to its temporary epicenter in downtown Scottsdale. The network is going all-out for Super Bowl XLIX with a presence that dwarfs what ESPN did for Arizona's most recent Super Bowl in 2008. For the first time, ESPN's marquee program, "SportsCenter," will make the trip from its headquarters in Bristol, Conn., to broadcast the full show from the Super Bowl site, having aired only shorter segments in previous years. Several other ESPN television and radio programs, including "First Take," "PTI" and "The Herd with Colin Cowherd," will broadcast live from Scottsdale beginning at 4 a.m. Monday. Coverage will continue through the week and wrap up with a four-hour countdown show before the Super Bowl on Feb. 1 and a final SportsCenter broadcast from Scottsdale after the game. ESPN has been planning for this moment for about two years, and the company has about 500 of its 7,000 employees in Arizona for one of the biggest sports weekends in state history. The NFL Pro Bowl all-star event kicks off Sunday, followed by the Super Bowl on Feb. 1. In between, the Waste Management Phoenix Open runs from Thursday through Sunday, with the anticipated return of Tiger Woods casting a brighter-than-usual spotlight on the golf tournament. Moving a major sports network roughly 2,200 miles for a week of programming is, of course, a major undertaking, and this year ESPN plans to broadcast 130 hours of remote coverage, more than it ever has for Super Bowl week. Nine semitrucks hauled equipment across the country to a dirt lot north of Fashion Square, where crews are rolling out about 5 miles of cables and setting up three stages. The network has 19 cameras on hand for its television broadcasts, ESPN coordinating director Michael Feinberg said. Four of ESPN Audio’s top shows will broadcast 65 hours of live, onsite coverage from Scottsdale Fashion Square in Arizona beginning Monday, Jan. 26, through Friday, Jan. 30. Mike & Mike: (M-F, 6-10 a.m. ET, simulcast on ESPN2): Mike Greenberg and Mike Golic, hosts of ESPN Radio’s popular national morning show, will kick off ESPN’s Super Bowl week. The show will welcome special guest co-hosts Brian Urlacher (Tuesday), Charles Woodson (Thursday) and J.J. Watt (Friday). 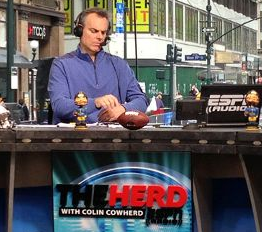 The Herd with Colin Cowherd: Cowherd will also be live with his daily radio show from 10 a.m.-1 p.m. The Herd is simulcast daily on ESPNU. SVP & Russillo: Scott Van Pelt and Ryen Russillo will host the daily SVP & Russillo from 1-4 p.m. (simulcast on ESPNEWS until 2:30 p.m.) all week. Sedano & Stink: Hosts Jorge Sedano and ESPN NFL analyst and three-time Super Bowl champion Mark Schlereth will broadcast live from 7-10 p.m. In addition, ESPN NY 98.7 will air 30 hours live from Scottsdale Fashion Square, Monday through Friday, with Lupica (1-3 p.m.) and The Michael Kay Show (3-7 p.m.). Today, John DeBella’s Mascot Mayhem will descend upon the hills of Big Boulder Ski Resort in the Pennsylvania Poconos. According to WMGK 102.9 FM, up to fourteen of the area’s most famous mascots will take part in a crazy ski race down the mountain to claim the title of ‘Mascot Mayhem Champion’ and score a free $5,000 WMGK-FM commercial schedule for the business they represent. Those watching the race will also have the chance to win something. Everyone that picks the winning mascot will be qualified to win a free Funjet Vacations getaway for two to Jamaica with all-inclusive accommodations at the RIU Palace Tropical Bay. The winner of the trip will be drawn minutes after the final round of the race. Mascot Mayhem will consist of 3 rounds – qualifying round, semi-finals and Finals. Kings will play the Mascot Mayhem After-Party at the ski lodge (5p-7p) and WMGK listeners are able to purchase $10.29 lift tickets online so they can enjoy a great day of discounted skiing and live classic rock in addition to the Mascot Mayhem festivities. The idea for Mascot Mayhem came from the WMGK morning man’s desire to ‘add something crazy’ to this year’s MGK Day activities and make it a day on the slopes that WMGK listeners would never forget. He went on-air and asked listeners for ideas about what he could do and after two days of interesting suggestions from tons of MGK listeners, Mascot Mayhem was born. This past weekend, CBS Sunday Morning featured a candid interview with Syndicated radio morning host Steve Harvey about why he laughs in the face of adversity. Special Correspondent James Brown sat down with Harvey in Chicago as he marked his 58th birthday to talk about his journey from losing everything he owned twice and living in his car for three years, to becoming an award-winning radio and television host, best-selling author and producer, and why he doesn't take his success for granted. 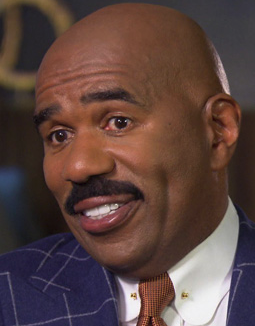 Steve Harvey arguably is one of the hottest daytime stars in show business right now. Last year, he won not one, but two Daytime Emmys as host of "Family Feud" and "The Steve Harvey Show." "I tape 180 shows in 34 weeks," Harvey said. "And then as soon as I'm done, I go home to Atlanta to tape 'Family Feud.' And in eight weeks I tape 185 shows. And then every morning on the radio I do 240 live shows a year, every morning! The Memory Station, WAKV in Otsego, Michigan, may want to forget this month after being hacked twice by computer "ransom ware" that knocked the station off the air for a day and has left its owner, Jim Higgs, still assessing the damage, according to MLive.com. The second attack, Jan. 20 with CryptoWall, locked his office computer and ćame just a day after hackers that had encrypted the station's music library, audio files and records, demanding a ransom for their return to service. Higgs refused to pay. The station was off the air the night of Jan. 9 through mid-morning on Jan. 10, with a rudimentary live Saturday morning show, he said. It appears that in the second attack the on-air computer has not been affected, he told Facebook friends.
" I don't know where I picked it up," Higgs said. "Fortunately most of the music library was backed up, but not the other audio files." 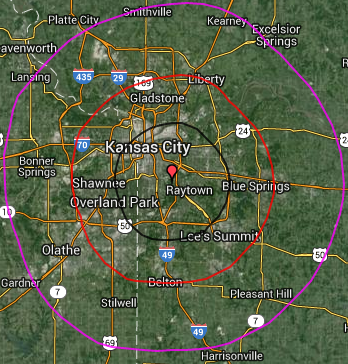 WAKV AM 980 remains on the air. 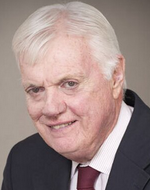 WTOP 103.5 FM's Dave McConnell is celebrating 50-years of reporting, mosty of it spent as the Capitol Hill correspondent. Acutally, he is the only full-time reporter for a local radio station covering Capitol Hill. McConnell started with the station on January 18, 1965 as a reporter for what was then 1500 AM. He has spent most of his career as the station's Capitol Hill Correspondent, where he remains the only full-time Congressional Correspondent for a local radio station in the United States. "It is part of WTOP lore that while other kids were skipping school to see the Washington Senators play at Griffith Stadium, Dave was skipping school to hear the real Senators debate on Capitol Hill," says longtime WTOP News Director Mike McMearty. He started out as a local reporter, and soon found himself behind the microphone at the anchor desk before transitioning to the Hill. His career has spanned 12 presidential elections and five inaugurations. He's covered breaking news not only on the Hill but around the rest of D.C., including the 14th Street Bridge Air Florida crash, the shooting of Ronald Reagan, the 1989 Capitol shootings and September 11, 2001. McMearty continues, "Dave McConnell is a class act. He's a mixture of hustle, honesty and humbleness. Dave lets the members of congress express their point-of-view without inserting opinion or commentary. He is, and has always been known as, an honest broker. I consider it an honor to have worked with him for more than 20 years of his illustrious career." A report by Bridge Ratings Media Research has revealed how music streaming can act to compliment radio stations. The report compares radio station’s playlists to the songs that their audience are consuming on streaming serves in a week. The theory behind the research was that most people will listen to a wide variety of genres, spanning over a long period of time. 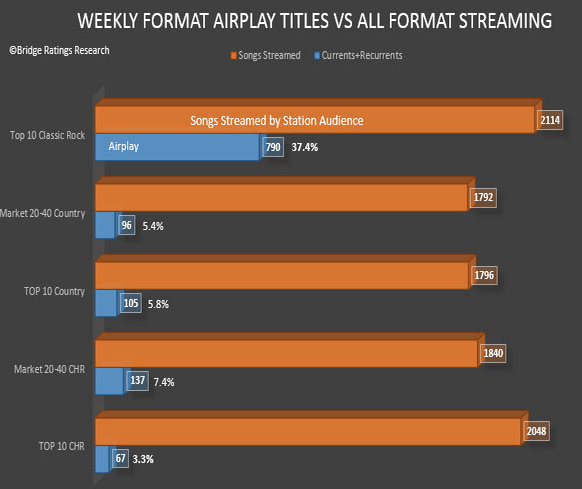 Therefore, with the playlists on the heavily consumed “Top 40 stations” remaining current and narrow, the majority of their audience’s streamed music isn’t played on the station. The theory was proved true with most stations having an average of only 5% of their playlist that aligned with the songs their audience streamed. The report states that this is a good thing for radio as it shows that people are happy to hear the hits on radio, then supplement their musical needs on streaming services. The fact that commercial audience figures are increasing in spite of the report’s numbers means that stations won’t need to change their programming habits. UPDATE 1/24/2015 6AM: The radio station's market manager, Jeff Berry, said her passing was a shock to the Cumulus Media team. "Our condolences go out to Terrie's family, friends and fans," Berry said. 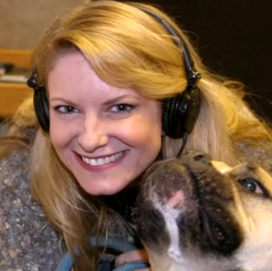 "Her sudden passing was a shock to us, and she will be greatly missed by everyone at Cumulus Media. We will carry her torch as high as we can." Sayre wrote the book "Terrie Q and Travelin' Jack's Pet Friends," and a second edition of the book is expected to be released this summer. Longtime KKOB 770 AM weekend host Terrie Q. Sayre was found dead Thursday afternoon in Albuquerque. KOB-TV is reporting the flu may have been a factor in her death. A close friend of Sayre's told KOB Thursday evening she had been battling the flu for a month. 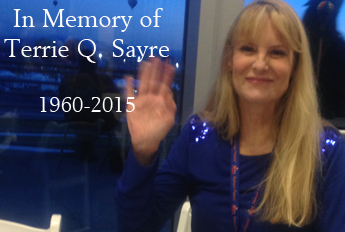 Aside from being a radio personality, Sayre was an animal rights activist and was involved in local theater. Sayre was honored twice as one of Albuquerque’s Top 5 Talk Show Hosts by Albuquerque The Magazine’s readers. She also hosted “The 1050 Show”, a business showcase on KTBL 1050 AM. Terrie Q. hosted “Weekly Edition”, a Cumulus public affairs show which features in-depth interviews with the people who make a difference in New Mexico. Previously, Sayre served as program director, news director and news anchor for stations in Nevada. 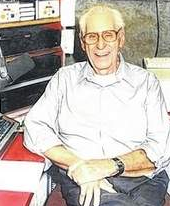 Arguably the best known radio personality in the history of Scioto County radio has died. Earcel “Zeke” Mullins, 93, known to his fans throughout the Portsmouth, OH and Tri-State region of southern Ohio, eastern Kentucky and western West Virginia as “Your Old Cornbread Eatin’ Buddy,” died around 11:30 p.m. Wednesday at his home. He was 93-years-of-age according to The Daily Times. The country music performer, promoter and radio personality was born on September 14, 1921 in Jenkins, Kentucky. He soon acquired the nickname “Zeke,” and was best known by that moniker by friends and family from then on. In 1927, when Zeke was six years old, his family moved to Portsmouth, and that is where he spent his early formative years. Zeke’s older brother Clarence taught him how to play the guitar as a young boy and he made his radio debut at the age of 15 performing live on the now-silent WPAY 1400 AM in Portsmouth, in 1936. WPAY sign-off in 2011. A longtime Bowling Green, KY personality Darrell Duvall died Wednesday after a battle with cancer. He was 60-years-of-age, according to The Daily News. Duvall hosted “Mornings With Darrell” from 9 a.m. to noon on WKCT 930 AM. He also worked for Classic Rock WDNS. Duvall began his radio career in the 1970s in Leitchfield at WMTL, where he met John Asher, now the vice president of communications at Churchill Downs, and George Lindsey, now the operations manager at Alpha Media Louisville. “I can’t come up with a better description of Darrell than one-of-a-kind,” Asher said. Lindsey met Duvall when Lindsey started at WMTL at 15 years old. Because Lindsey wasn’t old enough to stay in the station alone, Duvall sat with him at night so he could be on the air and learn. “He had a personality that was big enough to fill a room and big enough to fill a radio station,” Lindsey said. 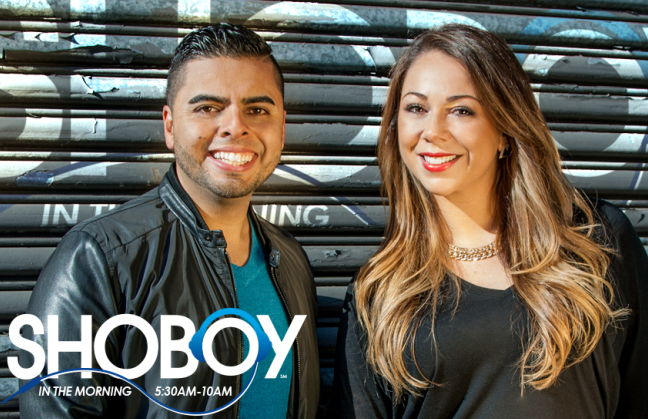 CBS Radio's WBMP 92.3 FM / AMP Radio launched “Shoboy in the Morning” as its new weekday morning drive show (Monday-Friday 5:30-10:00AM), this morning, January 22. The program features the award-winning Edgar “Shoboy” Sotelo making his New York City radio debut. Shoboy was most recently host of morning drive on CBS Radio’s KMVK-FM in Dallas. Also joining the show is Nina Hajian, a former New Yorker by way of Seattle and Sacramento where she most recently anchored the morning show at CBS Radio’s KZZO-FM. 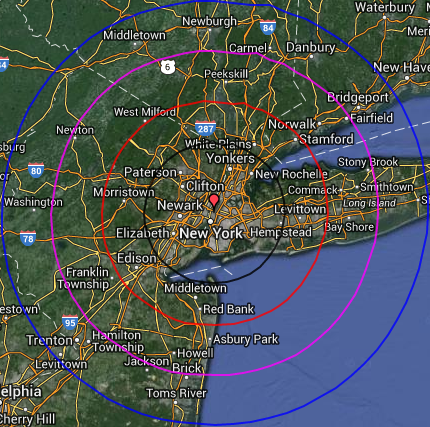 Hajian will provide insight and commentary on music, lifestyle, and tri-state area nightlife. The station’s local weekday line-up continues with Niko in middays (10:00AM-3:00PM), Astra from 3:00-7:00PM, and Toro from 7:00-11:00PM. 92.3 AMP Radio, New York’s newest CHR station, is available on-air at 92.3FM, online at www.923ampradiony.com and through the Radio.com app for a variety of mobile devices. The National Association of Broadcasters recognized Sotelo as one of radio’s brightest rising stars in 2011 with the Marconi Radio Award for Spanish Format Personality of the Year. His “Shoboy en la Manana” debuted on May 17, 2010 on CBS Radio’s Mega 107.5 in Dallas/Fort-Worth, one of the top-rated morning shows in the market. Cumulus has announced Talk Radio KCMO 710 AM /103.7 T-FM will debut a new programming line-up on Monday, February 2, with talk personality Rob Carson signing on as the station’s new Morning Host from 5:00 a.m. to 9:00 a.m. and veteran D.C. correspondent and Edward R. Murrow Award winner, Chris Plante, joining KCMO from 9:00 a.m. to Noon. Carson’s weekday show takes on topics ranging from politics to pop culture, with great guests, community involvement and the biggest comedy in the country. Dave Ramsey follows the new dynamic duo, live from Noon to 2:00 p.m., followed by Michael Savage from 2:00 to 4:00 p.m. Current morning host Greg Knapp’s show moves to afternoon drive from 4:00 p.m. to 7:00 p.m. Mark Levin kicks off evenings from 7:00 p.m. to 10:00, with Jon Batchelor from 10:00 p.m. to Midnight. 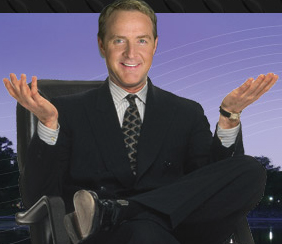 Carson began his broadcasting career in Missouri after graduating from Northwest Missouri State University. 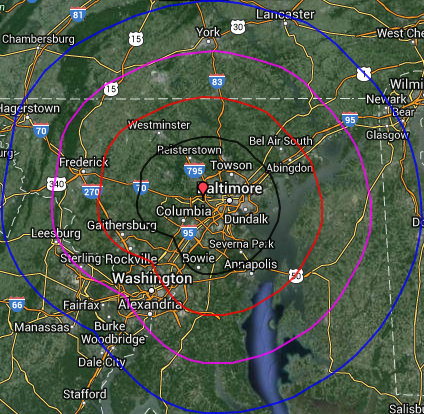 He has taken his talk show to markets including Minneapolis, Cincinnati and Washington, DC. Carson most recently produced the show from his home studio for airing on stations in Chicago, Atlanta, St. Louis, Kansas City, San Francisco, Philadelphia, Nashville, and Milwaukee. One of radio's most prolific comedy writers, Carson’s work has been featured on America's biggest radio networks and shows, including The Rush Limbaugh Show. Chris Plante joins KCMO from WMAL in Washington, DC, following 17 years as a correspondent at CNN, including nearly a decade at the Pentagon covering the U.S. military and intelligence community. Chris received the Edward R. Murrow Award from the Radio and Television News Directors' Association (RTNDA) for his reporting from the Pentagon during the terrorist attacks on September 11th, 2001. Total radio revenue in Chicago plunged more than 10 percent in 2014. Income from all sources totaled $376.231 million — down from the previous year’s $419.715 million, according to figures supplied by the station groups and compiled by the accounting firm of Miller, Kaplan, Arase & Co.
Chicago Media writer Robert Feder writes CBS Radio again led the market with WBBM 780 AM / 105.9 FM, although the all-news combo declined 6.5 percent with revenue of $39.215 million. Faring no better was iHeartMedia, which had a change at the top of its Chicago cluster in light of losses at Top40 WKSC 103.5 FM. 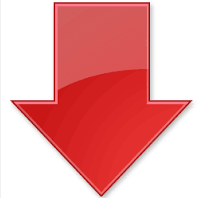 Coming off a banner year in 2013, Hubbard Radio also saw sales plummet at its HotAC WTMX 101.9 FM. According to Feder, three Cumulus Media stations posted the market’s most dramatic losses, including Classic Rock WLUP 97.9 FM, Classic Hits WLS 94.7 FM, and Talk WLS890 AM. But the company also had one of the year’s few winners, Alternative WKQX 101.1 FM (up 41.3 percent).